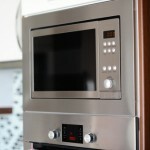 Hills Appliance Services offer professional service to the majority of Sydney areas. We service most brands of domestic whitegoods and carry a wide range of spare parts to get your appliance fixed as soon as possible. If we don’t stock the parts needed to repair your appliance they can be ordered in. 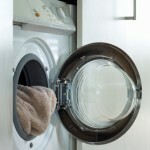 We service washing machines, dishwashers, clothes dryers, freezers, fridges and electric ovens and stoves. At Hills Appliance Services we understand how vital and important a washing machine is to the family home and this is why our technicians are highly skilled and qualified in diagnosing the fault with your washing machine and promptly repairing your appliance. If our technician does not have the required part in stock they will order and organise for your applianceto be repaired as quickly as possible. At Hills Appliance Services we understand how important a dishwasher is in reducing kitchen cleaning time and therefore understand how important it is for a dishwasher to be repaired as quickly as possible. All our technicians are kept up to date and trained on the efficient repair of the machines enabling them to offer fast prompt repairs to ensure your machine is functioning as though it is a brand new machine. At Hills Appliance Services all our technicians are trained in the latest innovation in drying technology and will be able to quickly recognise the fault with your machine and repair it in the convenience of your own home. At Hills Appliance Services we understand how important of a component the freezer and fridge are to the family kitchen and therefore understand the importance of having the appliance repaired as quickly as possible and that is why we will do all we can to provide a same day repair to your appliance. At Hills Appliance Services our technicians are greatly trained in electric oven and stove repairs and understand the frustration that can result from a stove or oven that is not working therefore each technician will promptly diagnose the fault and repair your oven or stove in the convenience of your own home.